Gray Catbirds are named for their meow-like call. They are part of the mimid family, all of which are known for their ability to mimic sound. Gray Catbirds can sing like other birds, call out like frogs, and even copy mechanical or other man-made sounds! They are true maestros! You can customize this gift. Move the catbird around, change the background color or style, add text or images -- make it your own! 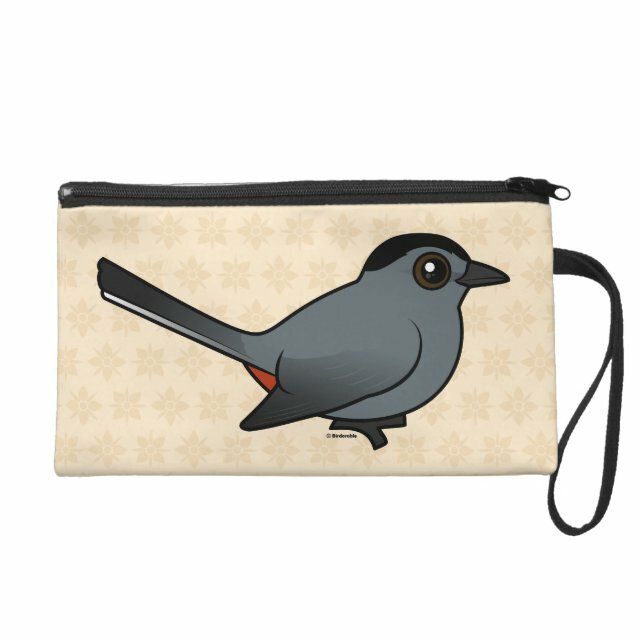 Downsize your purse with a fashionable and personalized wristlet from Zazzle. Made to fit everything you need day or night, it?s a stylish look for every occasion and event. Our vibrant printing process makes your more... designs, photos, and text stand out on this wristlet - you?ll be the talk of the town! Customize with a message for a friend to make a fun gift or add your initials for a personalized touch.